Some good advice on handling books on the Biblio blog today… click here to read it! Today’s front-page story in the Kenora Miner & News! Stella has found another dog book to sell to raise funds for It’s a Dog’s Life, the Kenora dog rescue shelter. Click on Stella’s photo to read all about it! 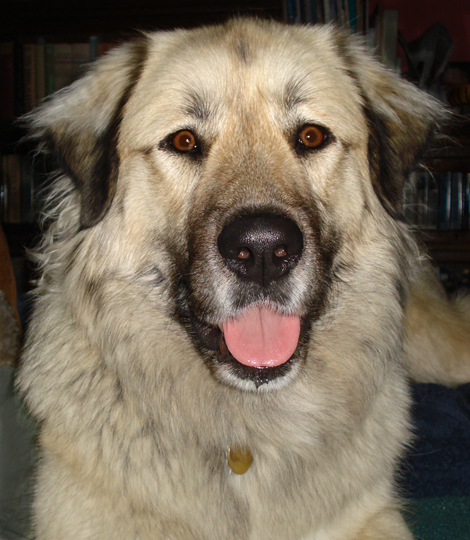 Stella the Bookshop Dog invites readers to her blog for this week’s Tail Thumper in support of Kenora’s It’s a Dog’s Life rescue service. Click on Stella’s photo to visit! Are you on Facebook? Why not pay us a visit there, and keep in touch by clicking the Like button? Click the photo of our sign (above) to go to our FB page! Stella the Bookshop Dog, is trying her hand at selling books to raise funds for It’s A Dog’s Life, the Kenora dog shelter! You can support her cause (and get Stella’s tail thumping even harder!) through her blog, Stella the Great Newfenees (Click anywhere on this text to get there).